Essential oils may help enhance your drive. Getting behind the wheel can bring out a whole other side of our personalities—and not our good side. If you’re looking for a way to placate that inner Mr. Hyde of a commuter, look no further than aromatherapy. Essential oils are gaining popularity in professional and personal environments, not just for their nice aroma, but mainly because of the significant effect certain odors can have on your mood. Although scents like lavender and chamomile have calming qualities, be wary about using them in the car. These particular soothing scents are known to cause sleepiness, and could be a danger to you on the road. 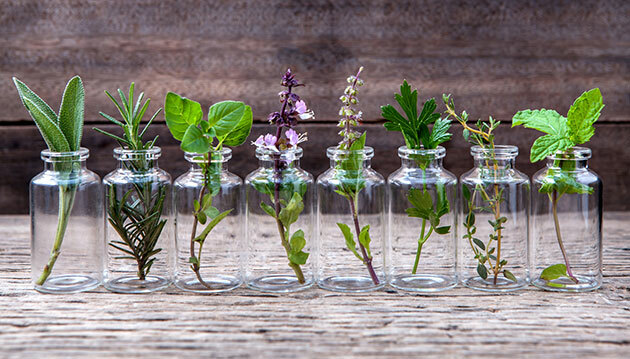 When it comes to selecting a brand of essential oils, it’s important to do your research, according to Meg Tuazon, owner of Summit to Sea Yoga and Team Leader for Young Living Essential Oils. When it comes to filling your car with the scent you need, there are a few different ways to diffuse your essential oils on the road. You can opt to buy an oil diffuser specifically made for use in the car, which is powered by plugging it into your vehicle’s cigarette lighter. You can find a large selection of car diffusers online and possibly at your local spiritual shop. Tuazon suggests a quick and cheap way to diffuse oils in the car: attach a cotton ball to a safety pin and place a few drops of your essential oil(s) onto the cotton ball. Then, attach the safety pin to your car’s air vents and voila! You have a low-maintenance but effective homemade diffuser. If you’re feeling crafty and want a diffuser to hang from your rearview mirror, buy a small sheet of wool felt from your local craft store. Fold the felt into a small, satchel-like ball and tie the top with twine (or string, thread, ribbon, etc. ), including a loop for hanging. Then, drip your favorite essential oils directly onto the felt and you’re set! Finally, for longer car rides and a more pronounced scent, you can fill a small spray bottle with water and add a few drops of your preferred oils for an occasional, uplifting spritz. This also serves as a refreshing way to cool off in times of especially warm weather. Whichever method you choose, there will be a period of trial and error while you determine just how much of each oil to use. There’s a balance to be found between being overwhelmed with scent and not smelling the oils at all. This is different for everyone, so listen to your nose while sniffing out that aromatic sweet spot. The parts of our brains that process smell (olfactory regions) are directly connected to the part of our brains that processes emotion (limbic system). This connection has been in the works and evolving for millions of years, aiding in the survival of our earliest mammalian ancestors. Today, that link between smell and mood can help us survive in a different way, especially by reducing drowsiness at the wheel and middle-finger-flinging confrontations. The AAA Foundation for Traffic Safety conducted a study on the correlation between lack of sleep and likelihood of getting in an accident. Drivers who get 4 to 5 hours of sleep in a 24-hour period are 4 times more likely to get in a car crash than those who got at least 7 hours of sleep, the study found. If you’re feeling tired at the wheel and need a quick boost, essential oils may just do the trick. However, if you’re experiencing chronic and severe drowsiness, pull over and either try to take a quick nap OR call a friend to pick you up. Similarly, driving while angry can also increase your chances of getting into an accident. According to the AAA Foundation for Traffic Safety, nearly 80% of drivers in the U.S. experience aggression while driving. Aggression on the road doesn’t come without consequences either—by analyzing accidents and their causes from 2003 to 2007, the AAA Foundation for Traffic Safety was able to conclude about 56% of fatal car crashes were caused by aggressive driving behaviors. So the next time you’re feeling sleepy or angry at the wheel, stop, take a deep breath, and smell the roses—rosewood and rosemary that is. Diffusing essential oils in your car may just be the key to restoring your sanity on the road and becoming an overall safer driver.